The Kind of Face You Hate: The Kind of Face You Slash - Day 18: Should I See Him Smile Again? The Kind of Face You Slash - Day 18: Should I See Him Smile Again? The best ghost stories don't have ghosts in them. At least you don't see the ghost. Instead you see only the result of his actions. This last bit is noteworthy for a couple of reasons, and I can't decide which to go with first. Okay, basically, what I find interesting about the idea that great ghost stories don't feature ghosts you can physically see is that, with stories like that, what the writer is edging into is the weird story, or stories of the unexplainable, by which I mean stories where something supernatural or otherworldly does seem to happen, but at the end you can't point to something specific and say "It was mummies," or whatever. 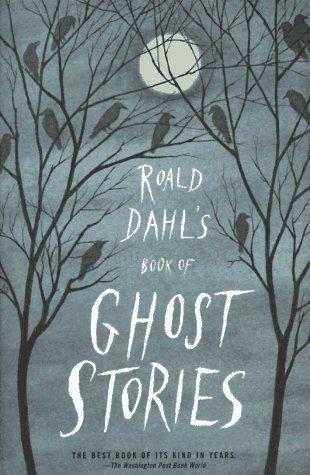 "Ghost story", in this context, becomes both as vague and as intriguing to me as the concept of the weird story, itself quite broad in scope -- broad enough to take in the kind of ghost story, if we really still want to call it that, that Dahl is talking about. The second interesting thing about what Dahl said is that neither of the stories I chose from Roald Dahl's Book of Ghost Stories actually comes anywhere close to fitting that criteria. Another story from the anthology that I read some time ago, Robert Aickman's "Ringing the Changes", does, but the other two, one of which is among the most famous and beloved ghost stories of the 20th century, don't. And it's really very curious, because each might have gone that route, and the famous one in particular would have benefitted hugely from that decision. I may take these two stories together, incidentally, because, while chosen almost completely by random, the number of similarities, or anyway the significance of those similarities, are such that running through them separately would feel redundant. First, to name them: "Th e Corner Shop" by Cynthia Asquith, which I chose only because I have a great fondness for horror stories that revolve around mysterious shops; and "Afterward" by Edith Wharton, this being the famous one, and for roughly 28 of its 31 pages damn near perfect, as far as I can tell. The idea behind "Afterward" and its title is that the ghost that haunts the new, but very old, home of Ned and Mary Boyne is not, according to the friend who helped them acquire the place, one you will ever see, or ever know exists until, much later -- afterward, to put it another way -- you find yourself putting together the pieces and realizing that some other force was at play in your life. This is a brilliant concept, and almost impossible to pull off as advertised. 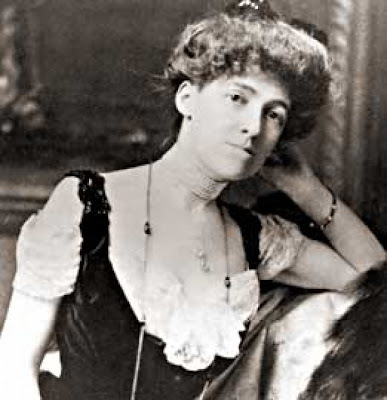 Edith Wharton is Edith Wharton, and I'm just me, but I have to say she doesn't do it. But how could she? For her to succeed, I, or you, the reader, would have to have the exact same experience as the characters in the story, and would have to forget about the possibility of a ghost, and only after we'd read the story and been entirely puzzled by the events described therein, would we think "Hey wait a second!" as we flipped back through the pages to find the part where they talk about ghosts. So it's impossible, full stop, forget that "almost" hedging I tried before. You just can't do it. This doesn't make "Afterward" any less great for much of its length. It is so quietly eerie, and is very delicate in its effects, much moreso than Asquith's "The Corner Shop". The haunting of "Afterward" involves a man seen in the distance, and later someone asking to see Ned Boyne and being told that he is in the library. It then ramps up into full-blown mystery from there, but even then a large piece of what the reader must note as strange is that Mary Boyne does not remember a crucial and entirely memorable event that would have happened only a bit earlier on the day her whole life falls apart. Is some sort of haunting force clouding her memory? Wharton never says, so the possibility is either that, or that Wharton is disregarding normal human thought patterns to an obscene degree. Myself, I have no trouble whatsoever buying the idea that Mary's memory has been supernaturally fiddled with, and I was left wondering whether, despite my insistence that just about any work of literature short of maybe Finnegans Wake is filmable, "Afterward" could ever be made to work on screen the way it does on the page. The Asquith story, as I started to say, is much more obvious in its methods. It involves a poor young man who one night finds a very welcoming antiques shop run by two delightful young women, a shop being manned, he discovers on subsequent visits, by an ancient but very solicitous man, from whom our narrator buys a little jade frog for half a crown. He comes to learn the frogs true value, and of course he never sees the old man again. An act of generosity, which our narrator regards as one of simple fairness, brings to light who the old man really was and what led to the transaction of the jade frog, and the last pages of "The Corner Shop" consist of an explanation being told to us. This is how "Afterward" ends, as well, although in that case the story being told is rather grimmer than in the Asquith story. What's surprising is that both stories revolve around business transactions, and morality and ethical behavior within business, and the importance of behaving well even when the law does not require it. 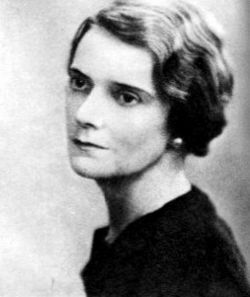 This is a coincidence, and the moral question at the center of "Afterward" is much clearer than in "The Corner Shop" -- for the stakes to be raised in her story, Asquith finds it necessary to make several people die completely alone and destitute simply because, apparently, they sold some item for much less than it was worth. But this helps the story to some extent, because while "The Corner Shop" eventually let me down, it is an interesting example of beneficence in horror -- "The Corner Shop" is, in fact, in the final analysis, not a horror story, because there is no malevolence in it. It is unquestionably a ghost story, however, and I'm left wondering if there is any other horror subgenre where this could work. Is it possible to write a vampire story that is free of anything sinister? Even if you tried, the liebestod would still be thick as molasses, and therefore unavoidably creepy to many. No, only in ghost stories can forces beyond the grave work towards the betterment of, if not mankind, then at least the individual. This is not the case in Wharton's story, however. There's something far more malignant at play there, although while maybe (maybe? One can only assume) punishment has been meted out somewhere along the line, the ghostly presences aren't out to harm just whoever. No, if there's a malignancy in "Afterward", it's elsewhere, and has less to do with the act that served as the catalyst to the whole chain of events, but the ability of he who performed that act to think nothing of it. This is a hidden theme in "Afterward", and it would sure have been nice if more about the story had been hidden. As I've said, much of Wharton's story, the vast majority of it, is as perfect a ghost/weird story, of the low-key variety, as I've ever read. Why this insistence on explaining what could already have been safely inferred is beyond me, and it left me feeling slightly disappointed. Not much would have been necessary to achieve perfection, either -- maybe lop off five pages and cauterize the wound. Other than that, it's all there. But I'm being greedy. It's still a terrific story, and the Asquith one really isn't bad either. Asquith wasn't the writer Wharton was, and when she makes the same mistakes as Wharton they tend to stand out more, but beyond that she does achieve a wonderful chill in the early going, and instilled in me a strong desire to know. The impulse to satisfy that desire has been the downfall of writers far worse than either Wharton or Asquith, and both of them finally rise above it. I'm going to buy this. That is all.